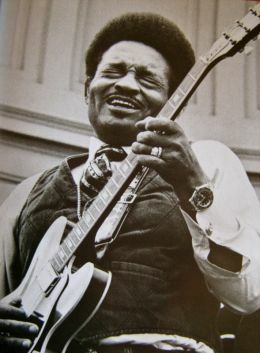 Lowell Fulson was a big-voiced blues guitarist and songwriter in the West Coast blues tradition. He also recorded as Lowell Fullsom and Lowell Fulsom. After T-Bone Walker, Fulson was the most important figure in West Coast blues in the 1940s and 1950s.